Copyright © 2013 M. A. Sharaf, A. S. Saad. This is an open access article distributed under the Creative Commons Attribution License, which permits unrestricted use, distribution, and reproduction in any medium, provided the original work is properly cited. In the present paper, two new generating sets, of homology invariant functions will be established. Moreover, by the aid of two independent homology invariant functions of each set we established the transformed first order Lane-Emden equation. The first equation for polytropic index depends on five free parameters, while the other equation is for, and depends on three free parameters. The reduction of the differential equations is probably the most challenging problem in dynamics and physics. A general interpretation of reducibility includes various transformations and changes the original problem not only along mathematical lines but also in a physical sense. Such transformations will be achieved using homology theorem. Homology is a powerful tool used by mathematicians to study the properties of spaces and maps that are insensitive to small perturbations. It was first used in a topological sense by Henri Poincaré (1895) as a relation between manifolds mapped into a manifold. The homology group was further developed for computational purposes by several investigators [1-3]. Kaczynski et al. presented the conceptual background for computational homology and indicated how homology can be used to study nonlinear dynamics. 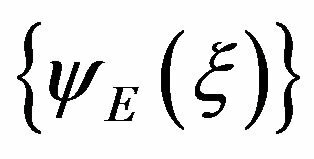 The important consequence of the use of homology theorem, is that, if we can find two independent homology invariant functions, say u and v, then the Lane-Emden equation transformed to u and v variables is of order one. Moreover, homology invariant functions play important role in fitting up solutions at the surface of the composite stellar models . In the present paper, two new generating sets, of homology invariant functions will be established. Moreover, by the aid of two independent homology invariant functions of each set we established the transformed first order Lane-Emden equation. The first equation for polytropic index depends on five free parameters, while, the other equation is for, and depends on three free parameters. If is a solution of the Lane-Emden Equation (1) or (2) then, , (A = constant) is also a solution of the of Equation (1) and is also a solution of the Equation (2) . 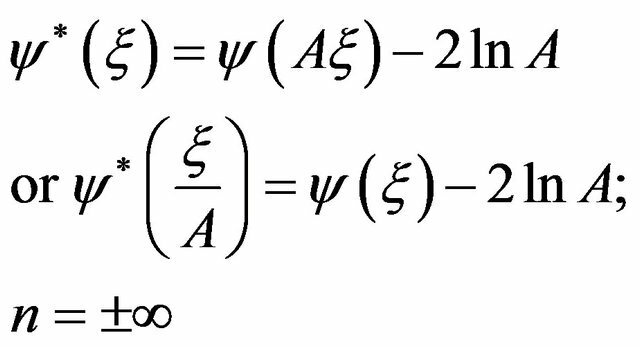 It should also be noted that, any solution that is finite at the origin is an E-solution, and its derivative is zero The general solution of the second order Lane-Emden equation must characterized by two integration constants. According to the homology theorem one of the two constants must be “trivial” in the sense that it defines merely the scale factor A of the homology transformation, and we should be able throughout the introduction of two independent homology invariant functions to transform the second order Lane-Emden equation into a first order differential equation . The two functions and are homology invariant functions. That is, the two functions and are homology invariant functions. where k, m1 and m2 are real numbers. That is the two functions and are homology invariant functions. 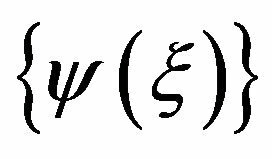 Now, since the two functions and are homology invariant functions with respect to the transformations of the homology theorem, then we can reduce with the aid of these functions the second order LaneEmden equation to one of the first order. This will be of the subject of the present section. In concluding the present paper, we stress that, two new generating sets, of homology invariant functions was established. Moreover, by the aid of two independent homology invariant functions of each set we established the transformed first order Lane-Emden equation. The first equation for polytropic index depends on five free parameters, while, the other equation is for, and depends on three free parameters. T. Kaczynski, K. Mischaikow and M. Mrozek, “Computational Homology,” Springer, Kraków, 2004. *Current address: Department of Mathematics, Qassim University, Buraidah, Saudi Arabia.